I found a simple black candle spell on the Lucky Mojo site which called for a candle to be dressed with Uncrossing oil then burned with a picture of your ex to forget them. My question is can you substitute Cast Off Evil for the Uncrossing oil? In the Cut and Clear spell there are several alternatives listed to Cut and Clear oil so I was wondering if you could do the same for this spell. I am trying to be positive about the things I want in life,as well as my spells,but lately,I've found myself being negative a lot more than I used to be. Since cast off evil is used to rid someone from negative habits,I was wondering if I could use it to rid myself from the habit of frequently having negative thoughts. Yes, Cast Off Evil can be used for that purpose. Negative thoughts are the worst habits of all. I find Healing oils, sachets, incenses, candles, etc... works as well. I would work Cast off evil, and do some cleansing/uncrossing baths as well. If you have not done any uncrossing, and cleansing in a while, then you may just have a build up of negative energy. Can you use Cast Off Evil oil in addition to Healing oil on a candle, or should they be separate? If you've already dressed the candle with Cast Off Evil (and Road Opener) can you add Healing? This is for a white skull candle. You will need a black cross candle, coffin nail, cast off evil oil, and uncrossing bath crystals. I started the spell (on a waning moon) by first cleansing my house with sage and applying fiery wall of protection oil above every door and window. If you have a different ritual for cleansing your home, that is fine too. 1. Cleanse the black candle. I usually use Florida water. 2. On parchment paper write the name of your addiction 3 times. Turn it 90 degrees and write your name 3 times over your addiction. Put cast off evil oil on the paper, fold it away from you 3 times, and place it under the dish that your black candle will be on top of. 3. Using the coffin nail, write the name of your addiction on the black cross candle. Next, I also wrote the name of the person who was a catalyst for my addiction. If you do not have a specific person or persons involved in your addiction, then just write the name of your addiction only. 4. Holding the black candle in your hand, imagine your addiction as a blackness surrounding you. Imagine all the blackness and pain and suffering becoming concentrated into a black ball in front of you. Project this small black ball onto the candle. Take your coffin nail and nail the imagined black ball of your addiction into the center of the candle. 5. Twist your coffin nail back and forth into the center of the candle until it is secure and standing outward on its own. 6. Using cast off evil oil, stroke downward on your candle, praying that your addiction leave, never to return. 9. As the candle burns, watch to see if the coffin nail drops away from the candle. If the nail sticks to the candle, I would recommend that you repeat the spell. I would recommend doing this spell 1-2 times per month until your addiction is gone. After 10 years of struggling with an addiction, mine was completely gone the day after this spell was finished and has never returned in the years since. I hope others experience the same miracle that I did. Wow, great, thanks for sharing. I am just thinking of doing a Cast Off Evil spell to quit smoking. Great to hear you had such great results, very encouraging. Thank you so much for posting this, louisianaIris. I've been battling with addiction for around three years now, I finally have it under somewhat control with methadone. I'd like to find the power within myself to stay strong and resist any temptations to use... I will be trying this after I gather the products needed. Again, thanks for sharing your experience and the spell. I will remember to post my results here after I try this. To cabriellenil, ShadowdyEmbrace, ghostsong, and anyone else who may try this spell, I am very hopeful that this spell will work for you. Please, get other people to say the prayers with you and to support you. Please, try the spell more than once if you only get partial relief. Never give up believing that you will get rid of your addiction permanently. Thank you, louisianairis, for the solid spell and clear description. I hope it helps others as it helped you. Will this work if the spell is intended for someone else who has an addiction and i want to perform it on their behalf without them knowing? If not, is there one that I could do for them? Yes, I've done this spell for other people with some success. It helps to have something of theirs and you can place a picture of them next to the candle. It's fine if the person doesn't know about it. When you write the name paper, write the name of the addiction 3 times, turn the paper 90 degrees and write the person's name over it 3 times. Place the paper under the candle. Don't forget to write the name of all the people involved in this person's addiction on the candle as well as the name of the addiction. I would recommend doing a black cross candle for them 1-2 times a month until the addiction is gone. It may take longer if they are not ready to let go, but the black candles will continue to weaken the hold of the addiction on this person. Keep praying and continuing to seek professional, spiritual, and emotional help for this person and for yourself too. 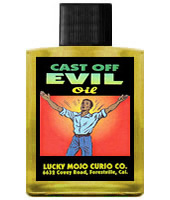 I also recommend the spells under cast of evil in the lucky mojo store. I have used these spells together with the black cross candles. This is copied off the lucky mojo site under cast off evil spells and you can substitute the words sobriety and alcoholism for whatever addiction your friend has. I didn't know the link to this, so this a copy written by catherine yronwode. Put the following three herbs inside the packet as you fold it away from you (to cast off the evil influences): Angelica root powder, Eucalyptus leaf, Hyssop leaf. Add Motherwort herb and Life Everlasting flowers if the person is your own child. Dress the packet with Cast Off Evil Oil, Blessing Oil, and Healing Oil, as well as any other magical hoodoo or conjure oils that seem appropriate to the persons situation, and place it behind the picture as you insert it in the frame. Dress the four corners of the picture frame with the three dressing oils. Dress the candle with the same magical herbs and the same three oils. Light Cast Off Evil Oil incense and pray daily before the burning candle in the name of the Father, the Son, and the Holy Ghost, petitioning for the person to be safely guided toward a better life. Also, in the meantime, get some of the person's favourite form of alcohol. Put some in a small glass bottle -- and if you can get the remnants from a bottle he drank from, this will be FAR stronger -- and add red pepper, nine pins, and nine needles, plus a few drops of Cast Off Evil Oil. Write his name nine times on a small piece of paper with the command GET SOBER written across his name nine times. Fold the paper very small, folding away from you each time so that his condition will be cast away, and put this paper into the bottle as well. Top the bottle up with Four Thieves Vinegar, but leave enough room so it will slosh around inside when you shake it. "As these needles and pins strike your name in this bottle of booze, so will booze cause you pain and suffering until you LEAVE IT! "As this vinegar sours everything it touches, so will booze sour your life until you STOP USING IT! "As this hot red pepper burns, so will booze burn at you until you GIVE IT UP!." This is called "playing both sides of the case" or "using both the carrot and the stick." You lure him to the good with a white candle and soothing magical herbs and anointing oils for strengthening and healing, while you push him away from the wrong with hot magical herbs, sour Four Thieves Vinegar, and painful pins and needles. This spell can be adapted for other situations beyond alcoholism. It has even been used to help someone break an eating disorder or to enable them to let go of a lover who was bad for him. It can be worked by a person for his or her own benefit or -- as is more common -- by another person to benefit a friend, client, or family member. Those who like to perform rootwork by the phases of the moon may wish to start this spell while the moon is waning, so that as the moon decreases in size, so will the person's dependency on harmful substances or his reliance on companions who are not good for him. wow! you're the best! im taking your advice and running with it!! thanks soooooo much. i appreciate you. louisianairis says: "Yes, I've done this spell for other people with some success. It helps to have something of theirs and it's fine if the person doesn't know about it" in direct response to yourr question. I have a friend who's currently very unhappy,because he's stuck in a tricky situation. I get the intense feeling that he's not considering the situation he's into wisely, and he's making a big mistake in his decisions because he's afraid of change. I was thinking of using a combination of Cast off Evil (to help with his fears) and King Solomon's Wisdom so that he sees the situation clearly and decides wisely what to do. Has anyone used this combination successfully before? I've used Cast off Evil successfully to get rid of my built-up negativity, but I've never used King Solomon Wisdom oil before (I got it to use it for my studies but I haven't started using it about this yet). I thought about using Clarity oil too,but a yes/no divination showed it wouldn't be a good choice. I find that Devil's Shoestring and Mars incense powders are also good for addiction. Black candles and uncrossing oil are good also, although I used a candle shaped like a man. Re: cast off evil and king solomon to open someone's eyes? Crucible of Courage would be good to overcome fear. I did a mixture of Crucible of courage/King Solomon's Wisdom/and Crown of Success to bath crystals to help my son get over his fear of test taking and to increase his over all self esteem in addition to helping him make wise decissions and be successful in his endevors. So far I have gotton excellent results. I had him take a cleansing bath to get rid of all negativity,past hurts ect. Perhaps this would be helpful to your friend. well I feel like clarity would help him open his eyes which is the title of this actual thread. You might want to ask clarity oil in combination with the king solomon wisdom. But I think you have a good combination in addition to what trueblessing said. My first instict was Clarity products as well, but you said divination said otherwise. Thank you all for your replies! My first instinct was Clarity as well, but since divination showed that Clarity, Crown of Success and Crucible of courage would not be beneficial at moment, I guess I'll go with my original combination at first and see if I can use your suggestions later on. I wanted to cast off evil sent by someone, but I do not want to do a reversing candle or send anything back to them. I noticed the cast off evil kit has a black devil candle. I already bought cast off evil oil. Should I buy the black devil candle and write this person's name and burn it? Someone also recommended using a regular black candle or a black female figural candle with the cast off evil oil. This person hates me and is very jealous of me and has said to several people that she wishes me death. I do not want to send anything that horrible back to her and I do not wish her any harm. Thank you for helping me to figure out which candle to use. Well it sounds to me like you want to do a Cast Off Evil spell on yourself--that is, you are not interested in reversing anything the other person did to you, nor are you trying to cast off evil from someone else, so if it were me, I would get a figural candle that represents myself and not the other woman--she is a non entity in this equation as far as you are concerned--make sense? Thank you IBUbe for your recommendations. I have also used regular black candles for this spell when I don't have any black cross candles on hand. I haven't used the black candles shaped as a man, but I'm sure that those would work as well. I have also used the uncrossing oil on the black candles and combine it with the cast off evil oil and/or run devil run oil. I hope this helps. That is not an incorrect assumption at all. Cast Off Evil helps individuals get rid of any messes that they have gotten into and it also can be worked with to undo or banish bad habits. It is not reversing and it does not send the evil back from whence it came. Can cast off evil help in situations like this? To help remove phobia's and negative thinking? If a person had that. Re: Can cast off evil help in situations like this? Yes, you can use them for both. 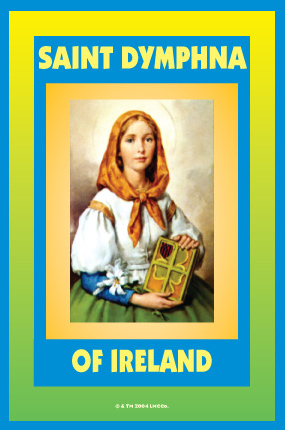 When it comes to phobias, I would probably work with Saint Dymphna as well. You may also want to look into four thieves vinegar (http://www.luckymojo.com/fourthievesvinegar.html) and use it in tandem with the Cast Off Evil products. If you feel comfortable petitioning saints, you may also want to work with Saint Dymphna who is a solace for anyone undergoing mental difficulties. How do I work with Saint Dymphna? I'd like to possibly use Cast Off Evil along with this saint. If you order her candle from us, you can request that it be dressed with a conbination of Cast Off Evil and Saint Dymphna Oils for mental health healing and removal of phobias when we prepare it and send it to you. I just want to report that I have been using Cast Off Evil oil on figural candles for weight loss, and it has helped me to stop spending money foolishly, even though I didn't ask it to. It is very powerful, and I appreciate the ideas for helping others get rid of addictions. How to use Cast Of Evil Oil on my alcoholic fiance? HELP HELP HELP please LM, how can I use this Cast Off Evil Oil on my alcoholic fiance and will it be effective? Thanks in advance to all whom apply. Re: How to use Cast Of Evil Oil on my alcoholic fiance? Please read the description located on the Cast Off Evil Spiritual Supplies website (http://www.luckymojo.com/castoffevil.html), pay close attention to Cast Off Evil Magic Spell for Remission of Alcoholism. I would advice you to get a reading as well to see what other products they may need to keep away the alcoholism. How do I dispose of remains of candle wax from burned out candle for my fiance that I annointed with Cast Off Evil Oil or any work that I may do later for him in Cast Off Evil for his alcohol addiction? I don't want him to leave away from me,so I'm not sure on the river open or crossroads,any other option? You're working to banish his addictions, so get rid of that wax - a river or crossroads is called for. Can Run Devil Run be used in pretty much the same way as Cast Off Evil as far as ridding a block or neighborhood of drug users/dealers ect.? Thanks to all who reply. I would recommend using Run Devil Run over Cast Off Evil for the situation you mentioned. LOL, thanks Joseph. I read the description about COE being used to rid a neighborhood of drug dealers ect. and since I already have the RDR products (oil, powder, incense) I was thinking about using them but couldn't really decide if marijuana smokers/sellers were considered to be "the devil and his imps" because I really don't consider them to be "the devil" per se but just some people who are misguided in this life about how to make money and earn a living and the ones who use it have this bad habit that needs to be "cast off". But I guess RDR would run them and their devilish ways away and keep this small problem from escalating into something bigger. Thanks again. I always have to remind myself that Cast Off Evil can also be Cast Out Evil... I revise my statement and think either could be used for your situation. Earlier it seemed to me that the dealers were devilish enough to the area to be considered appropriate for the Run Devil Run. Good luck. Sure, you could use Cast Off Evil -- if he was an evil person. Hello, I'm getting together everything for the first spell mention on this page http://www.luckymojo.com/castoffevil.html using the target picture,candle,bible,etc. 1.Do I place the bible directly behind the target's picture,candle,incense,etc? 2.Could I use Angelica Root or do I need to use the powder? I have a mortar to crushed the roots if I need to. 3. Could I do this for 3 targets at one time? 4.How long do I keep this spell going? 2. You could use angelica root, but you'll need a small piece of it to fit into a small flat packet: that's why the spell suggests powder instead. It's also worth noting that cutting your own from a whole root is quite an ordeal as they're very hard so it's easier to work with the powder in that respect as well. 3. It works best on one target at a time since this is a pretty heavy working - particularly if you work their alcohol bottle as a vinegar jar meanwhile. That said, if you have a fair amount of experience and feel confident working all subjects at once - nothing is preventing you from doing that. When it's for a Mom & Dad or other pair with a strong bond, then working them together as a couple is also fine. 4. Until the person gets sober. Alcohol and drugs are notoriously hard habits to kick and it can take years of continued work until lasting change is made. You also want to make sure that the targets are getting very practical real-world help in the form of a 12-step program, community or church support group and/or medical help without which the odds of both getting and staying sober fall significantly. Thanks Aura, I will follow these steps. The other two people is his father and my father. Last edited by Miss Aida on Sun Aug 09, 2015 8:18 pm, edited 2 times in total. Reason: Moved the reply outside of the quote box for easy reading. do let us know how the work goes as well as if you need any additional help as things move along. Getting MISC to back you up with a Cast Off Evil candle might not be a bad idea either. Thanks so much,and thats a great ideal,will do that as well. I just got finish with starting this spell. I'm also making a spiritual bath using the same herbs and oils for him to wash in for three days and I'm gone to create an extra name paper packet just like in the spell to place in my bible. It has come to my attention that a former friend has been stealing my aura and the auras of some of my co-workers, the co-workers are noticing in their own way but are not quite as spiritual as me or the former friend-they notice but don't think much of it. I have been working LM Cast Off Evil with some LM Healing and LM Blessing products on my estranged partner (some success). Thought forms and attitudes - is what I have been working on. And I would like to know if I could work a purple or black candle on this girl to make her stop stealing my aura. I'm largely concerned with my own aura. She is disrupting my ability to receive opportunity. However, if she's stealing the other girl's auras she might not go away. KittyLove: How exactly is she stealing the auras of the women around the office? I have just been reading this thread and I have found it very interesting. Firstly I have lost just over 140lbs over the last 3 years using will power alone. Recently I have had a few personal issues and I am afraid that the weight is going to return as I do seem to be turning to junk food, especially when I'm alone. I was considering using LM cast off evil oil to dress a candle with a relevant petition placed underneath whilst reciting an appropriate psalm, so that I can rid myself of the bad habit of binge eating. Also with a surgery due to take place, my doctor has advised me to stay as healthy as possible. Does this idea sound alright? "It has even been used to help someone break an eating disorder or to enable them to let go of a lover who was bad for him. It can be worked by a person for his or her own benefit or -- as is more common -- by another person to benefit a friend, client, or family member." My question on this is what color figural candle would be best for this working? I would be doing this spell on behalf of a male. I do currently have a black male figural candle and LM cast off evil oil. I also have LM clarity oil.